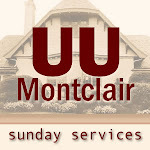 26:25 – Selections from The Unitarian Universalist Congregation at Montclair’s Sunday Worship Service by Rev. Judy Tomlinson. 27:08 – Selections from The Unitarian Universalist Congregation at Montclair’s Sunday Worship Service by Rev. Charles Blustein Ortman. 21:48 – Selections from The Unitarian Universalist Congregation at Montclair’s Sunday Worship Service by Rev. Charles Blustein Ortman. 08:30 – Selections from our Water Communion Worship Service at The Unitarian Universalist Congregation at Montclair by Rev. Charles Blustein Ortman.